Lately I’ve been bogged down with too much non-creative stuff so you can imagine how delighted I was to be able to sit down for the first time in a week and paint. 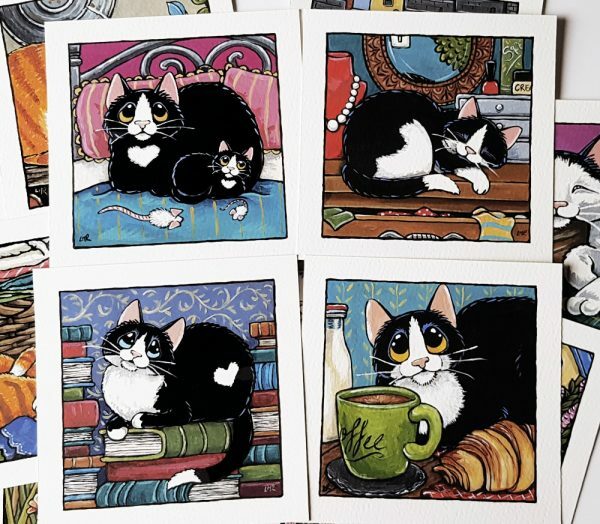 I was hoping to get at least 2 new cat ACEO paintings finished today but I suppose one and a half is better than none, right? 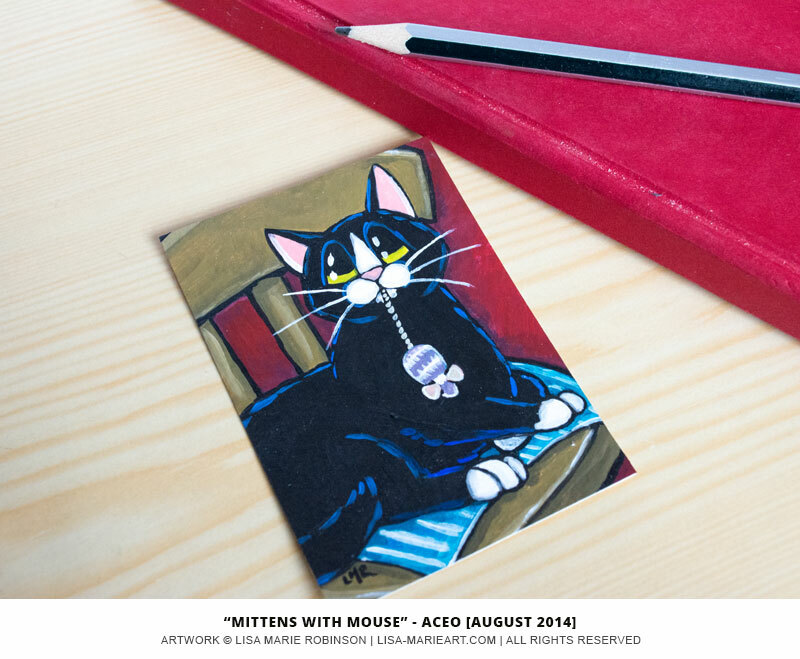 “Mittens with Mouse” is the only ACEO that I managed to complete today. As with all of my ACEOs it depicts a little story. Mittens the cat loves to lie on his favourite chair and he has a strange habit of sleeping with a toy mouse hanging from his mouth. Mittens doesn’t let go of his mouse, even when disturbed! 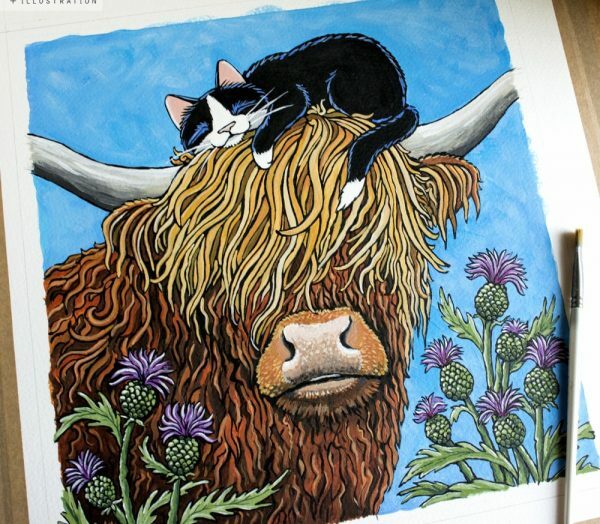 This ACEO is currently listed for auction on eBay until August 21, 2014. Happy bidding! The other ACEO, which I hoped to finish as I’m out most of the day tomorrow, is in a half finished state. In this painting, a tuxedo cat has had his attention grabbed by fireflies while entering his home via the window. I’ve absolutely no idea what I’m going to call this one so maybe not being able to finish it today was a blessing. Hopefully I can get it finished tomorrow either early morning or late afternoon. 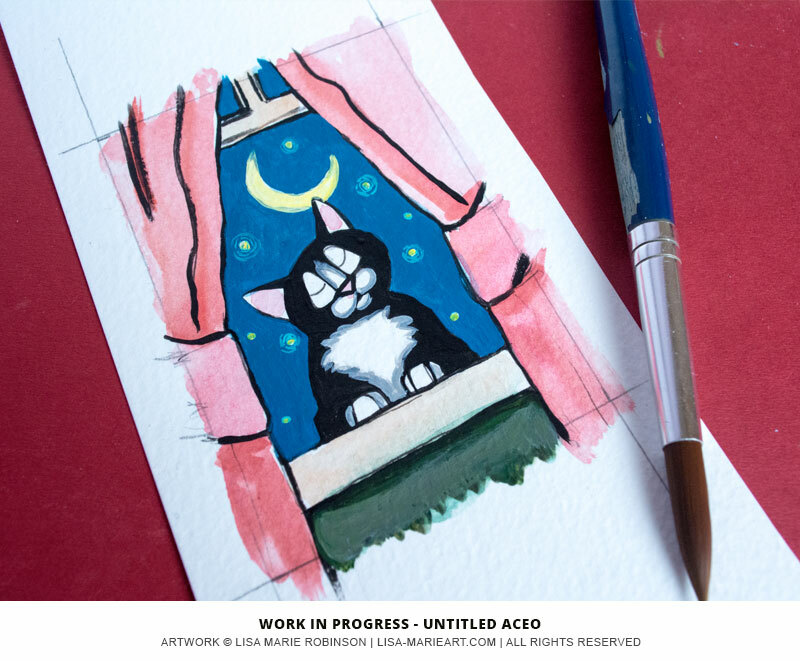 UPDATE: My tuxedo cat at the window ACEO is now up for auction on ebay. Fern the Tuxedo. 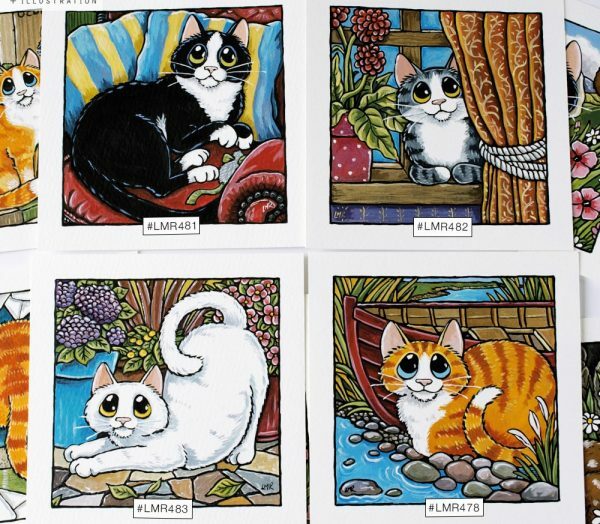 New Cat ACEO Auction.